(By Ankit Sood, Eco-Tourism Planner & Expert) Tourism has always been a double edged sword which is now creating a major environmental and socio- economic imbalance including pollution of various kinds, deforestation, loss of habitat, overcrowding, economic and cultural dislocation, inflation, and local resource shortage in the main tourist destinations of Himachal Pradesh. Community based eco-tourism emerged as a response to these issues. Himachal is a state characterized by melting snow from the peaks cascading down the mountain sides to form numerous waterfalls, rivers and valleys! The true grandeur of Himachal however is to be discovered in the variety of its Himalayan flora and fauna. Thanks to a growing network of jeepable roads which stretch far into the depths of the sweeping panorama, far flung places of Himachal have now opened their hidden valleys to the outside world. 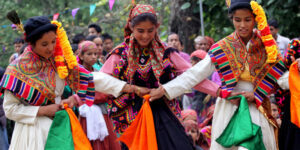 With the unique traditional lifestyle of each district, today’s Himachal present the tourists with a large variety of Himalayan folkways which are a must to be experienced. However majority of tourism has remained confined to only a few areas in Himachal leading to overdependence on the industry. 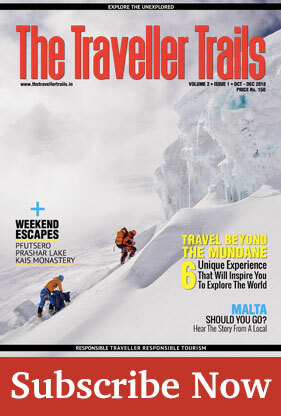 For most tourists, visiting Himachal means, visiting Kullu-Manali, Dharamsala, Dalhousie and Shimla. Mass tourism in these areas has led to a grave impact especially on the fragile environment and the socio- economic fabric of these popular destinations. In short, it has not been sustainable, and has done little to improve local living standards or protect the environment. Community based eco-tourism emerged as a response to these issues but is often misconstrued as simply taking a holiday in the laps of nature, watching wildlife, or engaging in an outdoor sport. Community based eco-tourism is distinguished from conventional tourism in the aspect that it employs measures to reduce negative impacts on the natural and cultural environment. Community based eco-tourism (CBET) takes the definition of tourism one step further. CBT (Community Based Tourism) is the tourism which aims to include and provide benefit to the local communities, particularly rural. Local communities are involved in planning, implementation, and management of tourism activities. Fair share of profits goes back to the locals. The project aims at implementing its activities based on the ideals of community based tourism on its tourist destinations. It ensures that the benefits, both social and economic, are realized by local communities. Thus the negatives of mass tourism has now given birth to unique community based tourism initiatives in Himachal, which are now giving a chance to domestic as well as foreign tourists to experience the unknown & pristine destinations of Himachal Pradesh. CBET is a type of sustainable tourism that promotes pro-poor strategies in a community setting. CBET initiatives aim to involve local residents in the running and management of small tourism projects as a means of alleviating poverty and providing an alternative income source to community members. CBET initiatives also encourage respect for local traditions and culture as well as for natural heritage. There are a number of different models for CBET projects. Some are run and operated by one or more entrepreneurial families who employ other community members and in this way spread economic benefits to the community at large. Others may be managed and operated by a village cooperative or community group, perhaps with the support of a donor agency or NGO. Often CBET projects develop a system for redistributing tourism income to the community through education or health projects. Community based tourism (CBT) is a kind of tourism which involves and generates participation of communities through their groups, societies, committees, associations or forums in the process of development of tourism. In a sense, it is a process of inclusive tourism in which the communities do not only participate in planning and management of tourism activities, but also share the benefits of tourism. Community based tourism and eco-tourism mostly go together as eco-tourism requires greater support and participation in upkeep and maintenance of eco-tourism sites around destinations of natural importance. But CBT can be independent of eco-tourism as communities can be involved around all kinds of tourism destinations. Community-Based-Tourism requires extra efforts and innovative strategies to bring the community groups on board. Digitalization of tourism resource maps, developing regulations, skill training, pictorial and text documentation of all tourism products are the key objectives of CBT. The IDIPT project, funded by the Asian Development Bank, being implemented by HP’s Department of Tourism & Civil Aviation has taken many proactive steps in promoting community based tourism in the state. Through a well planned approach of selecting potential areas according to designated criteria such as availability of strong socio-cultural and environmental resource, location, pro active communities and other criteria, the government has selected 19 Panchayats for developing sustainable models of community based tourism. The process involves background research and an elaborate carrying capacity analysis, awareness generation through various means such as wall writing , street theatre, village level competitions etc, partnership with community based organizations like Panchayat (village council) Mahila Mandals, Yuvak Mandals & Self Help Groups, training and capacity building through recognized Government institutions such as IHM, ABVIMAS, Red Cross etc, value chain analysis & product development and an elaborate offline and online marketing strategy ! The CBT initiatives in Himachal, though few in number, have now opened its gateway to environmentally sustainable tourism. With its elements of nature based tourism highlighting unique natural, floral, faunal and cultural diversity, Himachal has now decided to market its unique rural areas to responsible tourists and thus improving the welfare of its local communities through active participation in the eco-tourism process. Experience shows that sites which rely on more organic processes to develop community based tourism were more successful. However we cannot negate the approach of the developmental agencies in using CBET to exploit the full potential of experiential travel which principally rests with the rural valleys of the hidden Himalayas. Thus, the key is to develop site specific models where the potential of CBET to conserve natural and cultural resources along with supplementing local income comes with active community participation and ownership. The key is also to have the right synergy between the hardware and the software components to ensure the viability of the project. Similarly, we want to involve the women in portfolios other than homestays and leading the project as guides and interpreters. The success of the project would be determined by the creation of many microenterprises where the craftsman or the homestay owner lead the path to empowerment. Ankit Sood was a Associate Professor of Tourism for 12 years and is now an advisor to the Government of Sikkim, Himachal & Uttarakhand as a National Eco-tourism Planner & Expert.